There are many ways to partner with the Chula Vista Police Foundation; from joining the “Chief’s Circle” to donating items for the Foundation Auction. Together we can make a difference! 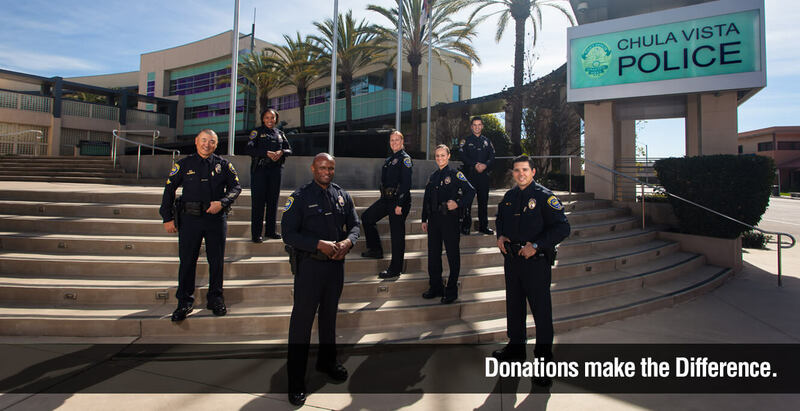 The foundation’s goal is to provide the police department with funding for training, programs and specialized equipment to ensure a safer Chula Vista for those who live, work and or visit our city.